I am seeking $20 donations per mile, but will accept any amount. Tom’s Thumb Trailhead. 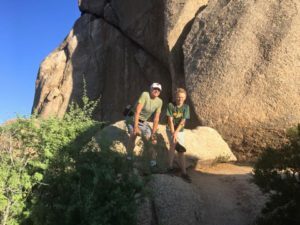 Tom’s Thumb Trail to Tom’s Thumb and back with my son, Logan, and a very kind gentleman we met named Vince. Logan and I made it to Tom’s Thumb by 5:15 am, and as we were getting out of our car, we met a retired insurance salesman from Wisconsin named Vince. I told him I was hiking for ProtectOurPreserve.org, and he mentioned that he is receiving emails from Howard Myers. Good man! We began our morning together, and the conversation was so enjoyable that we stayed together. Both through the stories he told and in his graceful presence, Vince taught us about appreciating the moment knowing that time is fleeting. He has an excellent sense of humor and was very gentle and thoughtful to my son. I feel graced to have had the opportunity to spend a couple of hours with him. When we arrived at Tom’s Thumb, Vince taught us to touch the rock “to honor it” and shared our (quiet) awe in the opportunity to see the prairie falcons roosting on Tom’s Thumb glide right past us. For more information about the prairie falcons at Tom’s Thumb, see this article (page 6) from the McDowell Sonoran Conservency. They are doing everything the DDC purports to aspire to while following every section of the Preserve Ordinance. We all jogged back to the Trailhead, which was a fun and quick return. Vince carried hiking poles from REI (see link), and we all recommend good tread, as the gravel can be slippery. 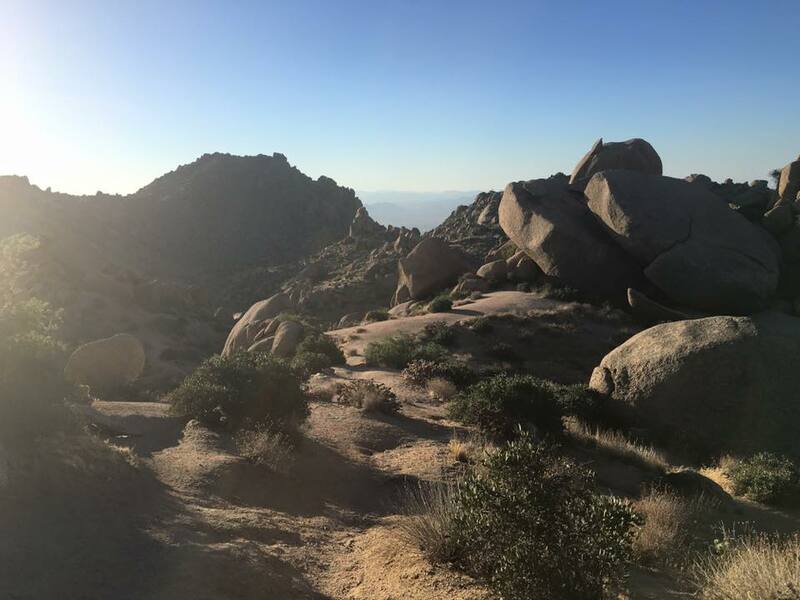 Thanks be to Logan, Vince and the McDowell Sonoran Preserve for a peaceful morning. I will be back with another longer hike and photographs tomorrow. If you’re interested in hiking a leg with me or have ideas of how we might continue to build support for ProtectOurPreserve.org, please message me. We need your help! Join us.